What’s going on with real estate sales at Lake Martin? For February 2018, 15 waterfront homes were sold – that is down from 20 sold in February 2017. But looking at the 5 year average it is an increase of 15%. Good news, bad news. We are over our five-year average but we’ve lost the two prior months in a row. Inventory continues to be down. 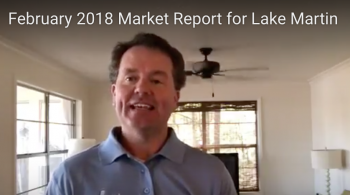 We had about 206 waterfront homes for sale on Lake Martin in the month of February 2018 and that compares to 248 in 2017. That calculates into being down 17%. This continues to be a trend with the 5 year average of 306 making February 2018 a whopping 32% below the 5 year average. Am I worried? No, because we’re in January and February. Remember, Lake Martin has traditionally been a very seasonal market. The winter months here are not expected to be big sales. 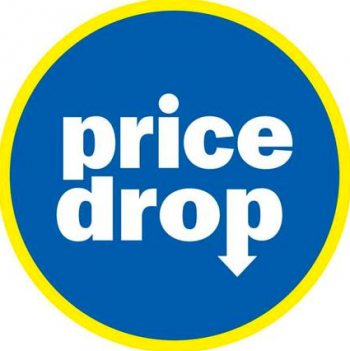 But if we see this trend happening in March, April, May, June, July – the big sales months on Lake Martin – then yes, I will start to take note. If you have any questions about how this may affect your home or lot that you own on Lake Martin or if you are considering Lake Martin as your next home – please give me a call. I’d love to help you out.